Last Friday I was lucky enough to catch a preview of artist Yu-Chen Wang’s new work for The Imitation Game at Manchester’s Museum of Science and Industry and Manchester Art Gallery. I’ve already waffled on about my involvement with the project – but even after a good few weeks writing and editing fiction with Yu-Chen and museum curator Sarah Baines, it was still a brilliant surprise to see Yu-Chen’s vision fully realised. Through fiction, film, pencil drawings and live performance (the shot above is Marc Parry playing a Linotype 78), Yu-Chen has created a rich, questioning work that explores and celebrates heritage and humanness. That it works so differently across both sites makes it even more fascinating. On a personal level, I feel really lucky to have been involved. There’s no point sugarcoating it: writing collaboratively is challenging. It takes patience and compromise on all sides – not often the qualities of someone used to writing alone, obviously. But at the same time, this project is easily one of the most fun, rewarding things I’ve worked on. To go from nothing to three interlinked stories in a fairly short time was a big rush, and I loved and admired Yu-Chen’s imagination and sense of purpose; Sarah’s deep insight and humour. Plus how often do three people get to sit in a room and nerd out about machines? The whole thing is definitely worth checking out if you’re in Manchester before June. And if you can make May’s live performances at the Science and Industry Museum, even better – the actors are ace. What if machines sitting in museum stores could remember, talk and interact with each other? What would they say, think and remember? Do machines have human qualities? Do humans have machine qualities? In Spring 2015 Yu-Chen Wang was artist-in-residence at the Museum of Science and Industry. Her research and reflection on the Museum’s collection and historic site has led to a major new work, Heart to Heart for The Imitation Game, which encompasses text, performance, film, drawing and installation. Her work can be seen at both Manchester Art Gallery and the museum. Following the residency, Wang collaborated with science fiction novelist Matt Hill and museum curator Sarah Baines to write the story of four characters inspired by a chosen group of objects at the Museum, who reminisce about their past and imagine their futures, revealing the interconnections between machine and human histories. The fictional text has become a script for a live performance, featuring the four machine characters. A film of the performance is showing in the Liverpool Road Station building at the Museum of Science and Industry and an immersive installation using video projection, sound and drawing to evoke the machine dialogues is on display at Manchester Art Gallery. After a mild print hiccup delayed the UK print run, Graft is now officially launched in all Angry Robot territories. I think I’m allowed to breathe again. Ebook, US, UK. And a nice rug. Not pictured: an estranged audiobook. As part of our publicity assault drive, I had a short essay published on SF Signal that delves into the responsibilities of writing fiction based on bleak reality, along with a piece at Upcoming4me about the car theft that inspired the book. Two more Q&As with me went up at MyLifeMyBooksMyEscape and My Bookish Ways, too. I’m also happy to say there’s an official launch do happening at Waterstones Deansgate, Manchester, on Thursday March 24th. Angry Robot has organised this to coincide with Eastercon 2016, which is in Manchester this year. If you’re about that evening, pop in for some wine and my first public reading from the book! And that’s it. Angry Robot have done such a lovely job of the book, and I’m proud as anything to see it out there. Back down the mine from next week. Most writers would probably agree that an impending release causes a strange mix of excitement and anxiety. So it feels ace that with only a few weeks until Graft is published, some reviews and mentions are starting to pop up around the internets. In its review, Publishers Weekly says Graft ‘captures the dark underbelly of Manchester in visceral prose’, and that the book’s world is ‘tinged with a sense of foreboding in this refreshing take on a futuristic mystery’. The world of Graft is a fascinating place to be. Hill’s deft writing immerses the reader in an abrasive, desperate universe, where corruption is rife and ethics are murky. Sol and Y are striving to get by, despite the avalanches of callousness and greed thrown their way, and their efforts are achingly relatable. Graft is dark and perilous, but it contains pure beams of love and beauty which gleam well beyond the final page. The lovely people at NetGalley UK include Graft in their top-ten UK books released in February, calling it ‘a brilliant piece of dystopian futurism’ and ‘science fiction at its most astute’. Carabas also include the novel in their new book recommends for February. Hill’s mean and broken future Manchester is pretty inimitable. You’ll meet some amazing characters navigating some profoundly dangerous situations in an environment of true weirdness that has a touch of the William Gibsons about it whilst at the same time presenting a science fiction that’s very personal, very British. In a word, it’s fantastic. All this and I got my hands on a physical copy of the diddy US edition, which I love to bits. Angry Robot has sorted out a lovely campaign in time for Christmas over on the Barnes and Noble Sci-Fi & Fantasy blog. It’s called the 12 Days of Robot Christmas, and so far it’s like an advent calendar, just a lot more violent. Every day in the run-up to Christmas there’s a new piece of original short fiction (1,500 words) going up on the B&N blog. There’s still a pile of stories left to unwrap, so check them out. And if you have a Nook, you can even pick up a novel by one of the twelve authors for a tidy $2.99. I’ve been dying to share the remarkable cover for Graft, designed by World Fantasy Award-winning artist John Coulthart, since I saw it a fortnight or so ago. Except it isn’t actually one cover, but three. The Angry Robot team liked three of John’s colourways so much that they’re using one for each edition. So, the UK edition will take the violet, the US edition will take the blue, and the ebook will use the red. The Barnes and Noble blog has the US cover reveal and an exclusive extract. And SFF World has the UK edition, plus an interview with me about the book and writing in general. Graft goes up on NetGalley very soon, which means reviewers can get their hands on it. Parp! Our son Albert was born in the early hours of last Friday. My memories of the actual birth are basically too surreal to relate in any meaningful way, but the cliches list themselves: terror, elation, (over)protectiveness, and a sense everything was being reshuffled at a cellular level. Albie wasn’t too well for his first few hours in the world, so we experienced firsthand the NHS at its calm, committed best. 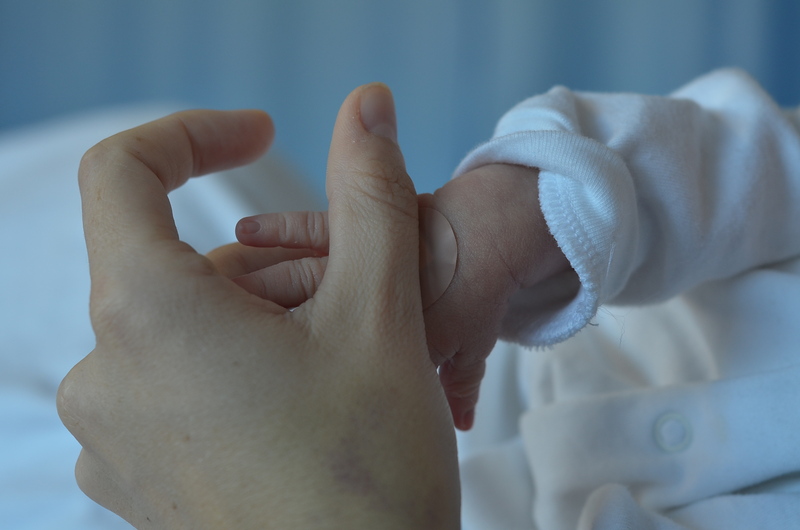 Several times we caught ourselves in tears at the unthinking kindness of midwives, and every day we were in hospital, we acknowledged our luck at having a health system that gives so much, as well as the fear of knowing it might not always be this way. Nurses, midwives and paediatricians are doing little miracles every day – if you know one, give them a hug from us. Looking at him now, a week on, some things keep repeating themselves. The fact that just over nine months ago he was the size of a poppy seed, a speck of matter that snuggled into my wife’s womb lining and started its weird mitotic processes; that his fingers and toes are impossible; that his head is so fragile; that his crying isn’t heard but felt, a physical pain; that in a weird way, Google serves as a third parent; and that while the weight of responsibility doesn’t seem unnatural per se, it’s definitely been sprung on us. It feels a bit like something inside has twisted and locked. The rest of my thoughts and worries are again too private, or mostly impossible to articulate, but we’re very happy. And tired. And tearful. As for writing, and news – not a lot’s going on. (As one writer friend said back in February: the challenge now won’t be finding the time to write anything, but mustering the inclination to write at all.) That said, Graft edits are in and done (Angry Robot kindly shuffled things about to accommodate impending parenthood), which means advanced reading copies are about ready to drop. This is scary and relieving: there’s no more to be done, nothing more you can do, and because you’ve lost all perspective, you almost have to dissociate yourself from three years of work and simply get on with it. In the meantime, I’m cracking on with novel three, which is so far delving into urban exploration, steeplejacking, sleazy journalism and directed panspermia theory. A fiver says there’ll be some birth metaphors in there. I’m currently working with a brilliant artist called Yu-Chen Wang on a short piece of Turing-inspired science fiction for her upcoming exhibition at Manchester’s Museum of Science and Industry. Along with Sarah Baines, a MOSI curator, we’re writing a story that explores the interior lives of four items in the museum’s collection. 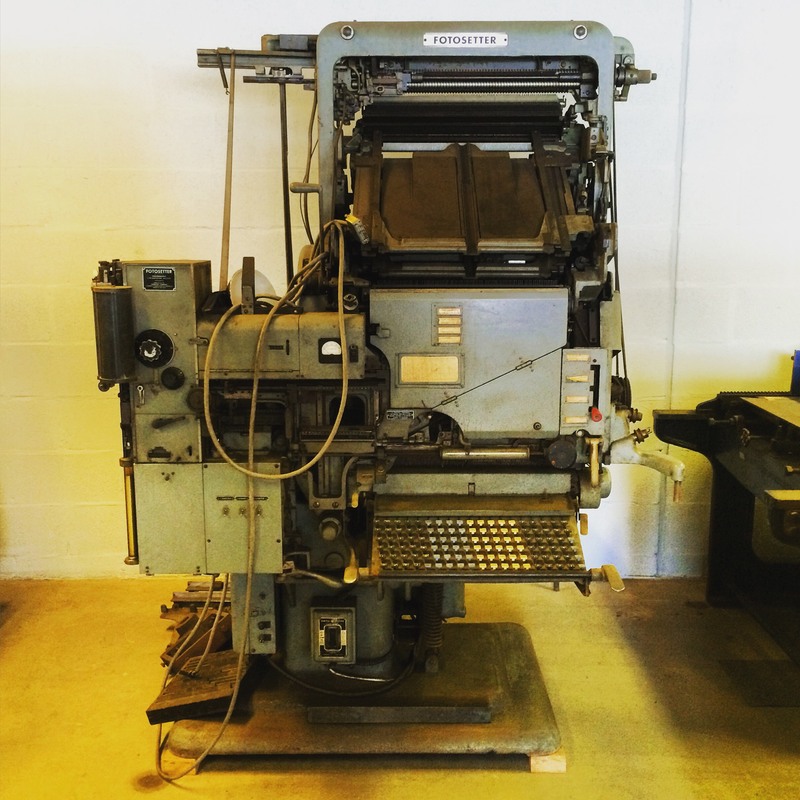 The finished text will be printed by Linotype (exciting!) and presented with the rest of Yu-Chen’s installation next March. I’m so chuffed to be part of this project, not least because Yu-Chen’s art demonstrates a quiet obsession with more-or-less obsolete machinery and its weird beauty – something I’m approaching with my own stuff at the moment. Lots of her work explores fantastical equipment, whose uses seem unknown, and strays well into science fictional territory – biomechanics, symbiosis, memory and retelling. But on a visceral level it also highlights a simple fascination with how mechanical things work. You get the impression she’s seen and loved the way a piece of equipment looks, or moves (or both) and wants to pull it to pieces to try and understand it. Or maybe to repurpose it, craft her own reasons for it. To be honest, I think lots of writers, me included, often look at the produce of handiwork and the specialised trades with reverence. Not only does it feel like these people get more sunshine and exercise, but the objects they engineer are often so delicate, intricate, improbable, they’re more like mathematical dreams, somehow remembered in the morning and translated into reality. When you see them in motion, all those parts in symphony, you think, How the frigging hell did someone think of that? How did they even begin to design it? How can someone’s mind be so effortlessly practical? And then you just have to step back and marvel at their ability to pull it off; fabricate cold equipment that works with such grace that you can’t quite believe it was made by humans at all. From another angle, someone might say something similar about the process of writing a story or a piece of music. But I can’t help thinking that if writers sit down and create new worlds with words, engineers somehow manage to create entire galaxies with their parts, castings and fastenings. Strangely, though, the highlight of the trip was actually the documents store. 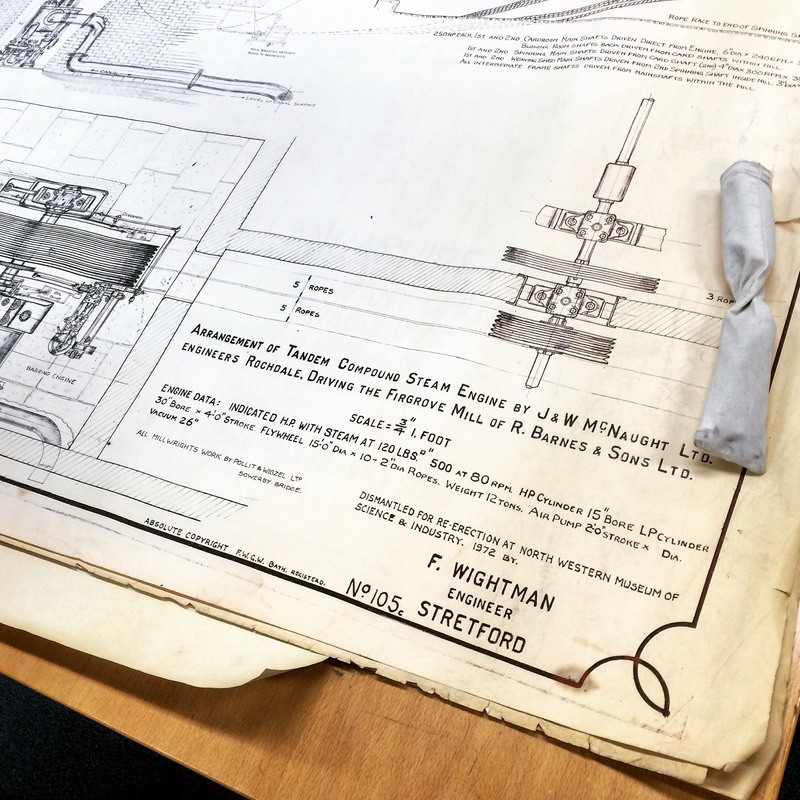 Here a lovely archivist called Jan went and fetched a ream of technical drawings by a man called Frank Wightman, and unfurled them on a wide table. A Stretford engineer and millwright, Wightman’s work recorded in monochrome the boiler engines and assorted installations he helped to dismantle and re-site at the museum as Cottonopolis began to fragment. I really can’t explain how sublime these drawings are: the linework is faultless, the detailing ridiculous. God knows how many hours the bloke must’ve put into them, or (as with the machines themselves) where he might have started. But more than inspiring, they were touching: apart from his all-caps, evenly spaced writing (such an engineer), and his clean, no-nonsense prose, he’d peppered each page with little annotations that hinted at a dry humour, an awareness of his talent, and a recognition that if the world was about to change and leave people like him behind, he’d damn well make sure they had something to remember it all by. My favourite of these drawings depicted a man’s workshop in Hollinwood. To get power to his machine tools, which he needed to repair mangle rollers, the man had driven a shaft system out into his shed and mounted it with bicycles. Not being able to afford their own bikes, the local kids would go mad for the opportunity to ride them – so they’d come along, get on, receive their ‘speed instructions’ from ‘t’gaffer’ and pedal for half an hour at a time – more than long enough for him to ‘parallel and end’ a pair of rollers. Hiding from the sun in Lud’s Church, up a hill near Leek. ZERO BOMB was published on Tuesday. Interzone calls it ‘very good indeed’. Take a look if it sounds like your cup of tea!